Home Brian of London WATCH: Why Is The News Fake? WATCH: Why Is The News Fake? Have you ever wondered what I know about how the News Wires like AP, Reuters and Agence France Press (AFP) operate which leads me to be so contemptuous of most of their coverage. This is the first time I’ve told this story in public. When Matti Friedman first came out and exposed the goings on at Associated Press (AP) in Israel, I recognised the pattern. I had a chat with him and told him the same story I told above: he had never been to the APTN offices in London and wasn’t working directly with the video side but as soon as I told him he started to rethink about things he’d seen while working at AP in Israel. His original whistle blowing article had put the finger on the problem completely: there is a filter through which the news passes. Stories painting Israel in a positive light very often get blocked, negative stories pass. Negative stories about Palestinian leadership almost never see the light of day. If you want to see a written version, I first put this down in 2006. It was republished in 2010 largely unchanged. If I have to stress one point about what I saw at the offices of AP TV News in London it is this: why are over half the staff I saw working in a London office speaking and working almost exclusively in Arabic? One further point: Israel is going through the process of kicking out Al Jazeera. That’s all well and good but Al Jazeera was actually set up to compete with the unit of APTN that I talk about here! Israel can kick out Al Jazeera, but when it comes to AP TV News, the filtering problem is in London, well beyond our reach and completely out of sight to all but those who see my work. Was APTN set up with this built-in bias on purpose? Is there some way that the expensive payments made by Gulf state governments form part of a deliberate attempt to skew the media? In Islam and Dhimmitude (2002), Bat Ye’or recounts how decisions were taken in the wake of the Arab-Israeli war of 1967 to try to put across an anti-Jewish, anti-Zionist message (pgs. 294-296). Successive Arab conferences resolved to contribute vast sums “to universities, centers for Islamic studies, international communications agencies, and private and governmental organizations in order to win over world opinion.” (pg. 296). The messages from these conferences stressed an addition to the more familiar violent jihad. They emphasized the importance of jihad by the written and spoken word – what we would recognize as classic propaganda. Without question, APTN’s interesting business model represents a concrete example of an ongoing financial “contribution” to an important communication agency promoting a pro-Arab bias. Nothing I’ve seen in the interim, no element of the treatment of Israel which we see over and over again in the world’s press, goes against this thesis. Beyond this it has huge implications for the coverage of the Arab Spring, the wars in Syria and Yemen or even the mass immigration of Arabs and (largely) Muslim populations into Europe over the last few years. For completeness here is the section from Bat Ye’or’s book which I quoted briefly in the talk. Think about it. The second International Conference in Support of the Arab Peoples was held in Cairo on 25-26 January 1969. It assembled delegates from seventy-four countries and fifteen international organisations, representing a wide spectrum of politicians, public opinion markers, and intellectuals, among whom were British historian Arnold Toynbee and French Arabist Jacques Berque. The chief object of the conference was to emphasize the hostility to Zionism, and the solidarity with the Arab population of Palestine. In its appeal, the conference stressed that all information media should be mobilized to enlighten world public opinion, kept in ignorance and confusion by deceitful propaganda on the part of Israel and its supporters. It is an incumbent moral and political duty of all participants to this conference to reveal the truth and spread it through the press, the radio, television, demonstrations, visits of delegations, and the organization of seminars and conferences in the West and through all continents. 1) Special committees are to be established to coordinate activities on this issue. Such activities are to be directed in the way most suitable to the individual conditions of each country. Special committees can be created or maintained on particular issues. 7) To appeal to all international and national organisations and committees to organize public demonstrations, exhibitions, publications, films, etc., dealing with the background, causes, current events, Israeli atrocities, refugees, Palestinian resistance, etc., according to the possibilities in each country. 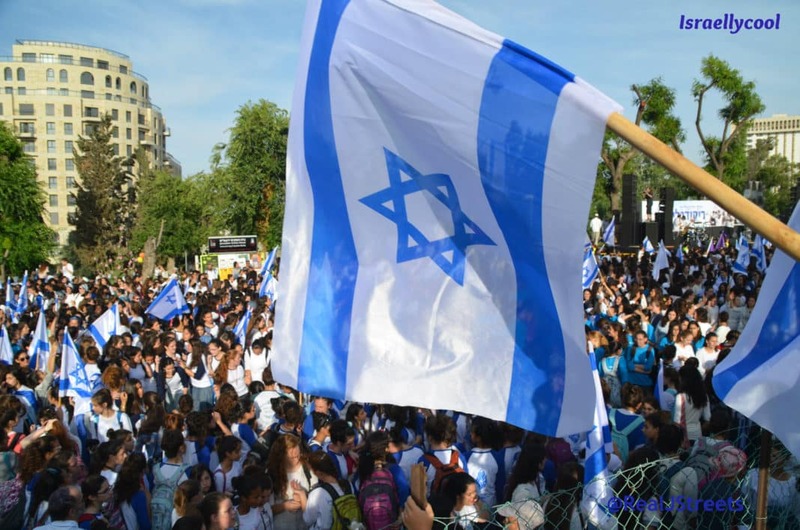 9) Special emphasis to be placed on the mobilization of public opinion in countries where governments are taking a negative stand or helping Israeli aggression. 15) The conference decided to form special parliamentary groups, where they did not exist, and to use the parliamentary platform for promoting support of the Arab people and the Palestinian resistance. 19) It also decided to organise two seminars on the Middle East issue, one in Western Europe and one in the United States. 22) Representatives would organize, on return from the conference, special meetings and publications, and utilize the press, radio and television media to popularize the conference’s decisions in the most appropriate way for each individual country. Among the 54 members of the Sponsoring Committee, 46 were from Europe: 32 from Western Europe (France, Italy, England, Belgium, Cyprus), 11 from the communist countries (Yugoslavia, Poland, East Germany, Hungary), 2 from Chile, and 1 from the United States. Twenty-four years after the extermination of European Jewry, anti-Zionism-like anti-Semitism-consisted of an ideology divided into topics, which were intended for worldwide diffusion through a media network, operating at all social levels. This policy aimed to transform the balance of forces in international opinion, transferring the capital of sympathy which the Israelis enjoyed until then to the Palestinians. Thus, the triangular relationships of dhimmitude-Muslims, Christians, Jews-emerged from the traditional inter-communal level to take on international proportions.